Crackers! Grain free and low carb, even! Around the house and at the office, we're always looking for nutritious, low carbohydrate snack-y foods to eat. It's hard to replicate the satisfying crunch of a chip or flour-filled cracker, but these seed crackers are good contenders and healthy to boot. Reading through the recipe below might sound labor intensive, but it really doesn't take up a lot of time. It's just a few small things here and there to get the prep work going and isn't any harder than whipping up a batch of cookies. They go great with dips and herbed yogurt cheese (see May 27, 2010 post here). Give it a try! 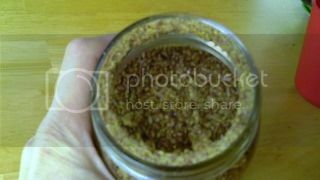 Pour 1 cup of flax seeds into a small mason jar. Fit standard blender blade and bottom to jar and mount on blender. 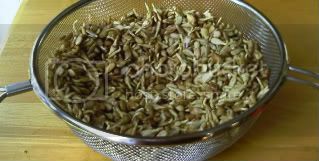 Grind on low at first, then increase, dismounting jar and shaking seeds once in a while until all are ground finely. Pour into a large bowl. 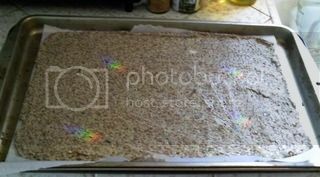 Two days prior to making these crackers, I like to soak and sprout sunflower seeds. 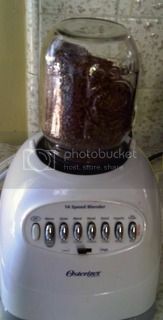 I use about a cup of sunseeds and let them soak in clean water overnight in a jar. 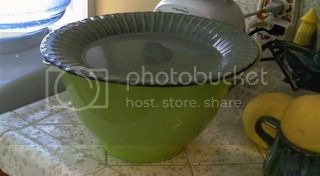 The next day, I pour them into a large mesh colander, spread them out a little and cover them with a dishcloth. I give them a rinse ideally 3 times a day for 2 days or until little nubs start to grow. You can allow these to get long or not and you can let them soak up some sun and turn green if you prefer as well. For info on sprouting, read this. 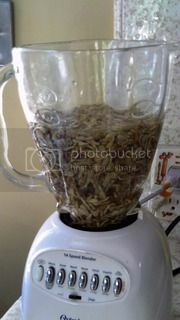 Next, put the sprouted sunseeds in a blender with a couple cups of clean water and blend to a sludgy paste. Add more water if too dry. Pour into the ground flaxseed meal and stir. 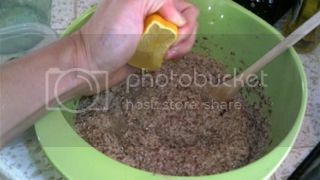 Add a quarter to a half of a squeezed lemon to the mixture. 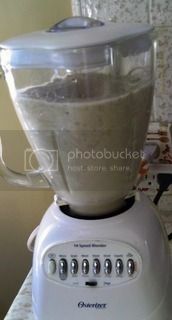 You are going to let this blend sit overnight in a non-metal bowl with a dishtowel or plate covering it. 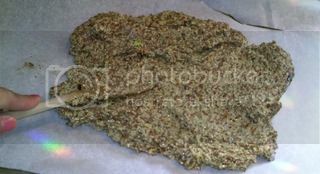 This allows the flax and sun seeds to become pre-digested, breaking down the enzyme inhibitors in the raw flax seeds and making it more bio-available for you. 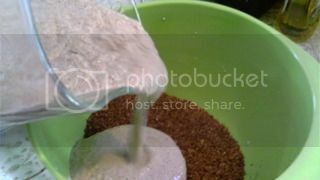 The water will become absorbed by the flax, so be sure that your mixture is soupy enough to allow for this. After you have enhanced your crackers-to-be, you're ready to spread the mixture out on a parchment-lined baking sheet or food dehydrator trays. Taking a knife, score the spread 'batter' into cracker shapes. I run the knife down, making criss-cross lines that can be broken into squares when the crackers are done. You could be less fancy and just chip your crackers off when cooled. (Notice the rainbow light crystal reflecting). 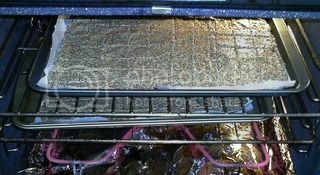 Place it in the oven, in this case, or dehydrator if you have one. 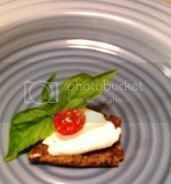 At the time of making these, I only had an electric oven, which I set to warm for over an hour, checking the crackers periodically to be sure they didn't overcook. If you have a gas stove, you can slow dry these for a few days under your pilot light to keep them 'raw' or low heat them until crisped. When they are completely done, snap the crackers off after cooling and enjoy. We sure do! Thanks for posting this recipe! I can't eat wheat, so I'm pretty excited to try this out. 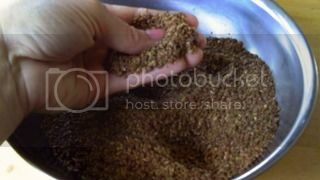 For the 'fast food' version, just buy flax seeds already ground, soak them overnight and flavor them, skipping the sprouted sunseeds deal. 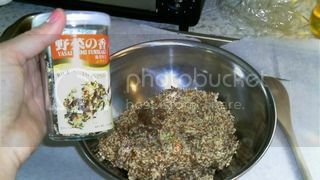 You can add sesame seeds or whole sunseeds.